It is Protective, curative and eradicant in action. It is strong antisporulant and translaminar action. It is quickly absorbed & translocated within the leaf and system. 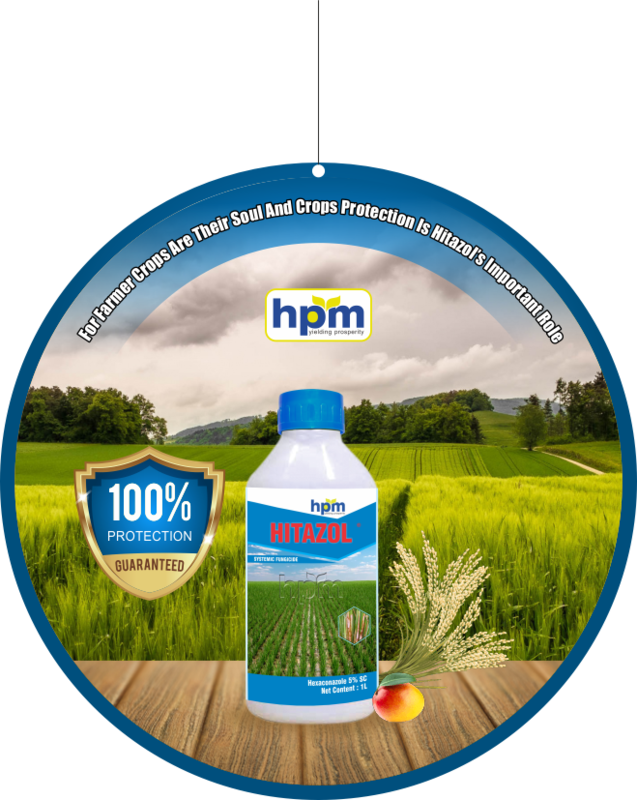 Gives excellent control of Ascomycetes, Basidiomycetes and Deuteromycetes. Lower dose required & longer Duration Control. 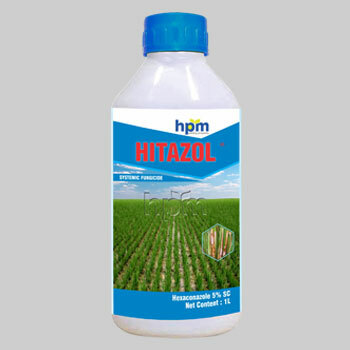 More stable in comparison to Hexaconzole 5 % EC. 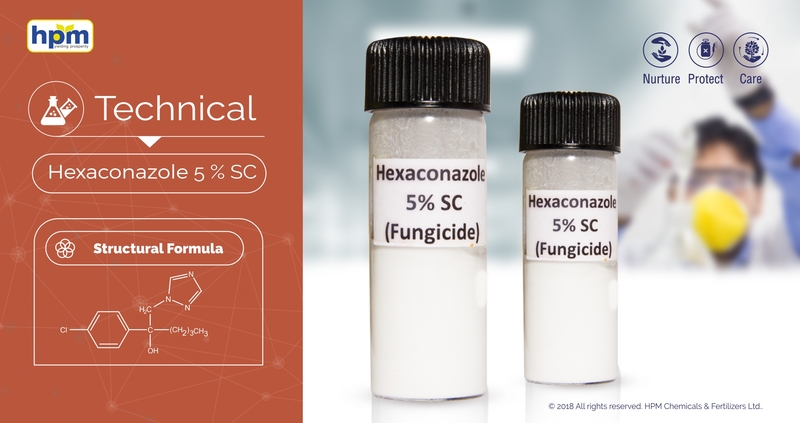 Hexaconazole is a Broad-spectrum systemic triazole fungicide used for the control of many fungi particularly Ascomycetes and Basidiomycetes. It inhibits ergo sterol biosynthesis (steroid demethylation inhibitor). Hexaconazole content, percent by mass Min. It is readily excreted by mammals, with no significant retention in organ tissues.it is non toxic for birds like mallard ducks.it is non toxic for rainbow trout, mirror carp, shipshead minnows.it is non toxic for daphnia, bees, and worms.